If you are a developer or contractor, you want to invest in land that is going to yield a high return on investment, especially in this particular industry, you just cannot afford to waste thousands—even millions of dollars into a project that is not going to attract buyers. Whether you are investing in a residential area or business development, it is imperative that you are making decisions that are going to attract the right buyers. For business developments, make sure that you’re strategically located in an area that is going to attract patrons. Once you get that part sorted out, then comes the process of selecting the right building materials. For high traffic areas or residential dwellings, you cannot go wrong incorporating natural stone into your building project. Natural stone has been proven to stand the test of time, outlasting other building materials throughout the century. Even today, you can travel to Europe and the far east of the world to witness the longevity of natural stone art and dwellings. Smart developers and contractors today will do what they can to incorporate natural stone into a build. The most common way is to install marble flooring. It not only comes in a beautiful array of colors, but it’s durable enough to never need replacing, unlike carpet, tile, and even hardwood flooring. Buyers will appreciate having such a material like natural stone flooring installed in their new dwelling—so much, that they’re willing to pay a premium price for it, and rightly so. Natural stone can be used in a variety of way into a build, but for flooring alone—it not only raises the property value of a build for resell, it’s organic coloring is guaranteed to complement almost any design for any purpose. 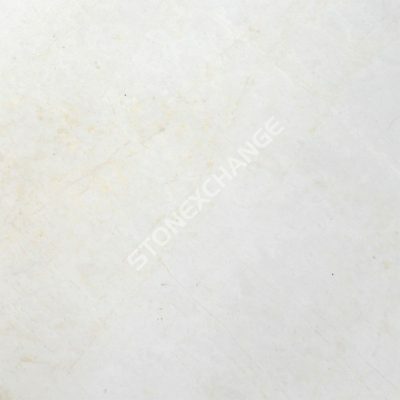 Natural stone for interior designs comes in a wide array of color patterns. With the right natural stone distributor, you’ll be guided to the most popular selections in the market, guaranteeing that your build will appeal to buyers. Nalboor Tiles located in South Florida stocks only the most highly coveted marble tiles in the industry. Choosing from this lucrative inventory guarantees that buyers and renters will pay top dollar for such an attractive dwelling. As there are many color patterns and selections for builders to choose from, most builders and contractors tend to gravitate toward a certain kind of marble tile because it’s neutral enough to appeal to all buyers. They have been known to either favor the lighter or darker hues—all in the ivory, cream, beige, and brown tones. The variations of these hues determine if they fall more on the dark or lighter side, and THAT can make all the difference in how a space is perceived—warm and inviting, cool and sterile, or perhaps a mixture of both: cool and serene. This can all be determined in the kind of marble tiles offered. For a cozy and welcoming ambiance, the Adalia Cappuccino is sure to bring a space together with is cocoa-colored tones that overpower the cream and beige. Kitchens with dark cabinetry tend to lean toward this kind of tile. Its darker hues also masks any spills! Order a free sample of Adalia Cappuccino here. If you are looking to create a bright and regal environment with a hint of professionalism, Bianco Dolomiti might be the way to go. Its white polished straight-edged finish with sleek grey veining gives a clean look that is commonly used in high-end retail stores, spas and bathrooms. These tiles are also perfect for business spaces and doctor’s offices. Get your free sample of Bianco Dolomiti here. With its intense ivory background, it’s almost hard to distinguish the beige tones in this tile. However, its swirling veining gives the pattern just enough color to soften its white and ivory variations. The movement of the veining gives the illusion of an aquatic flow of serenity, creating a therapeutic type of atmosphere. Here again, Vanilla Oro could be incorporated in a spa, waiting room, or medical foyer. Order a free sample of your Vanilla Oro here. If you have any questions about buying marble tiles in South Florida, contact Nalboor Tiles today online or call us at 305-501-4548.